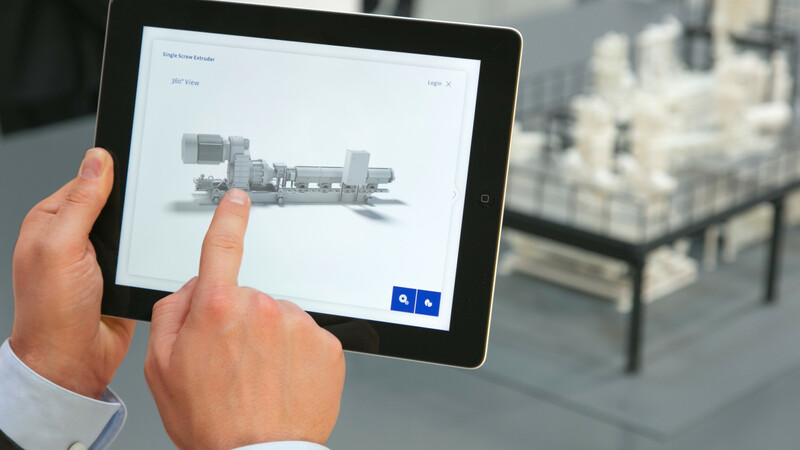 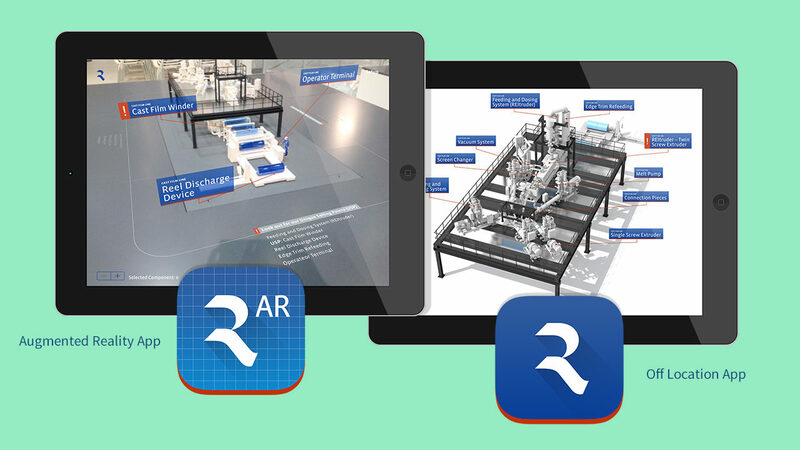 The Reifenhäuser app combines markerless tracking and 3D-printed models. 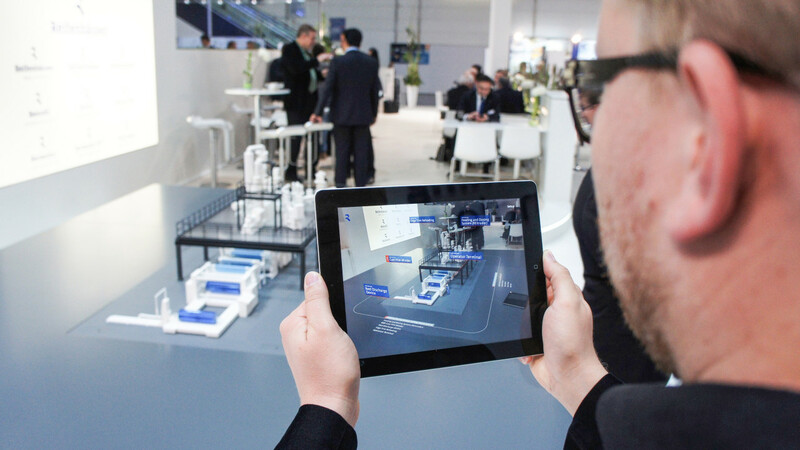 At this year’s K2013 fair, Reifenhäuser presented itself in an amazing new way, using cutting-edge markerless augmented reality technology. 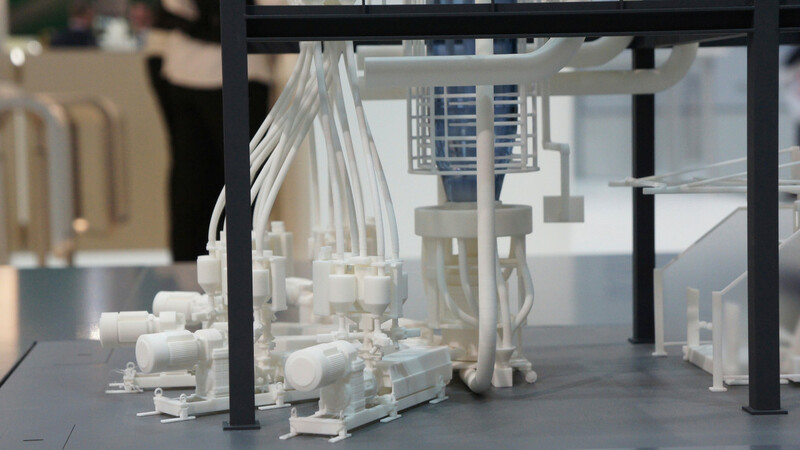 Beside many other things, four production units were reconstructed in 3D and printed at a scale of 1:18, featuring the finest details. 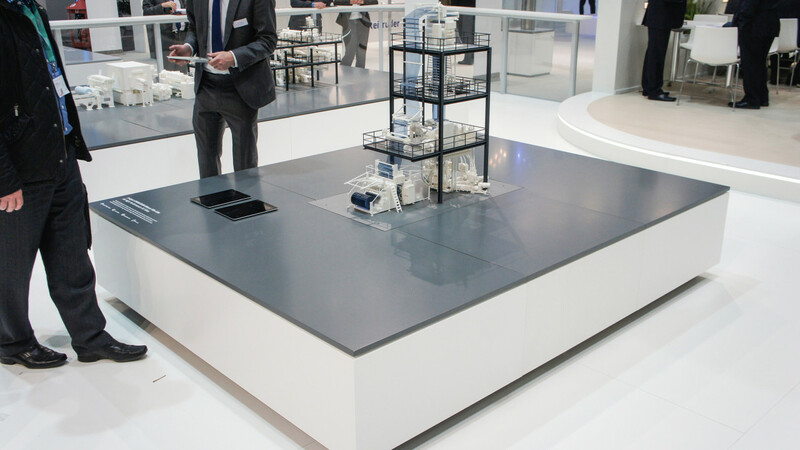 The models varied in size up to almost 3 meters and provided a perfect overview and entry point for visitors. 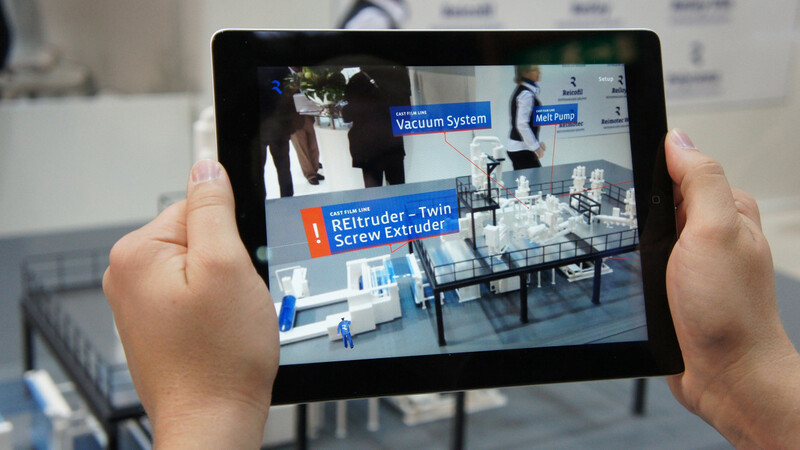 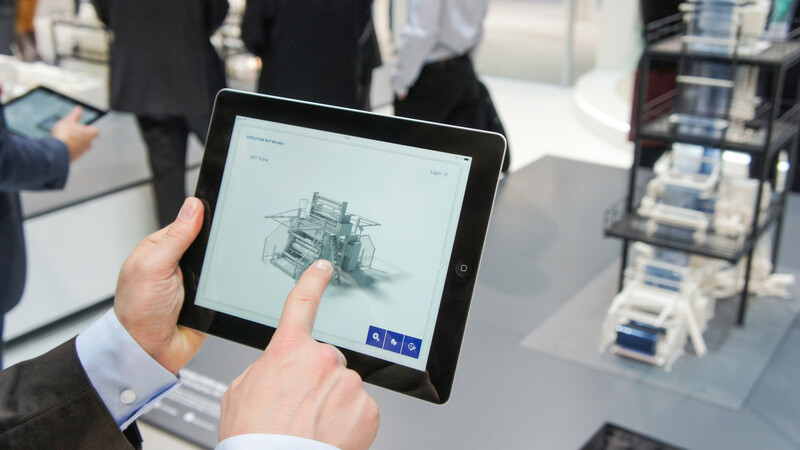 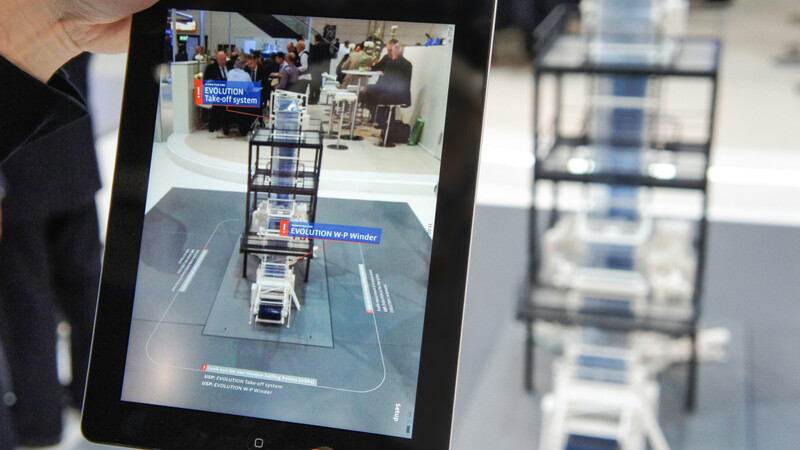 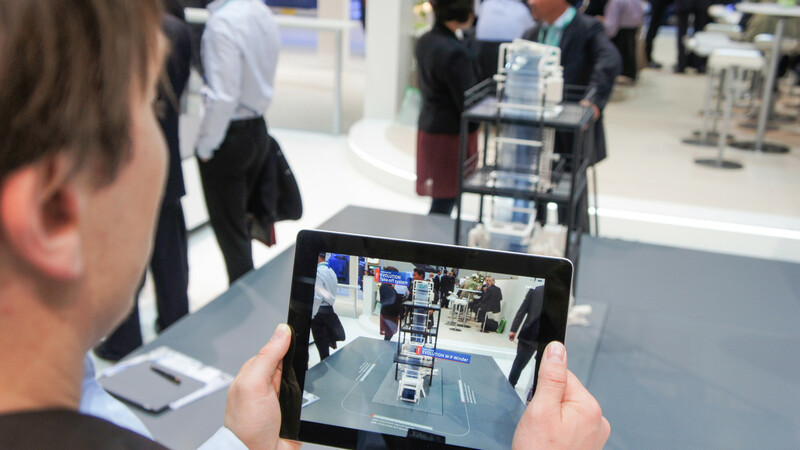 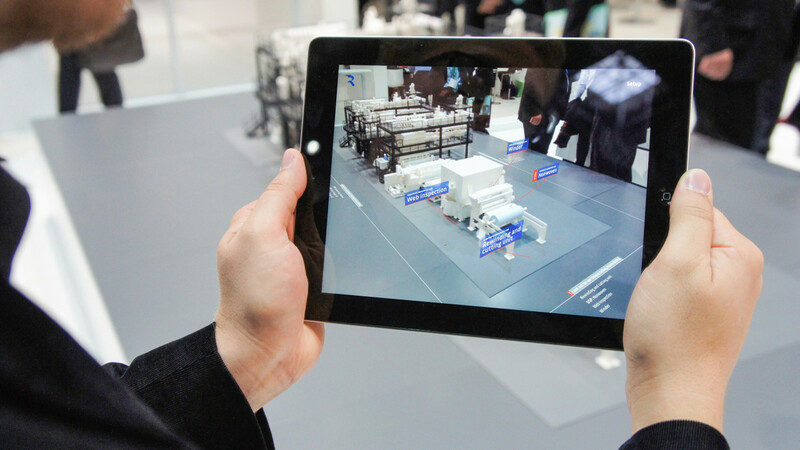 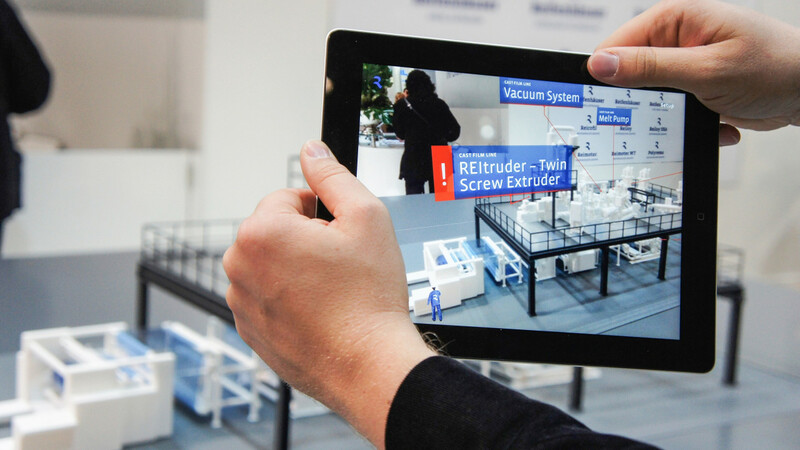 In addition, iPads installed with a special augmented reality app allowed visitors to closely examine the production lines and their components in depth. 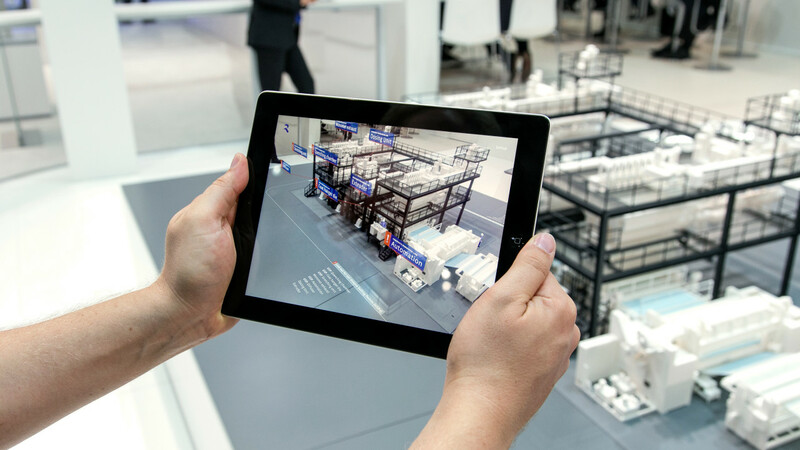 Metaio’s 3D-markerless tracking made it possible to augment 3D-content onto and around the models from any angle and without any visual hints – such as id markers, images and the like. 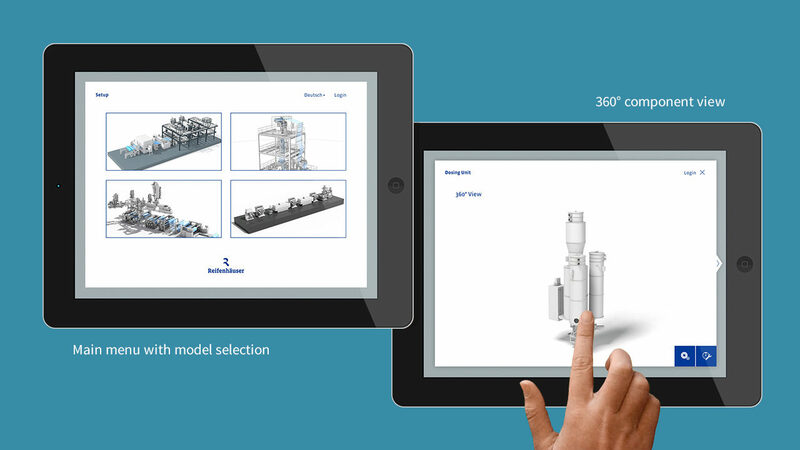 The application enabled a seamless exploration of Reifenhäuser‘s product portfolio. 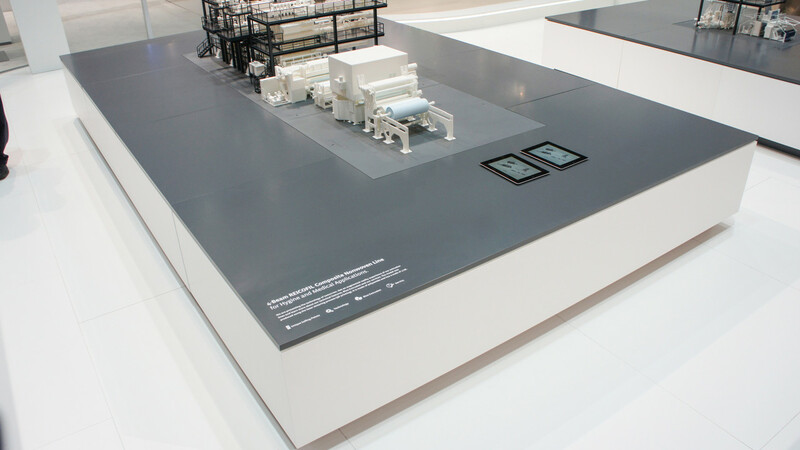 Depending on the actual position of the visitor, buttons virtually appeared around the models, linking to the corresponding components with lines. 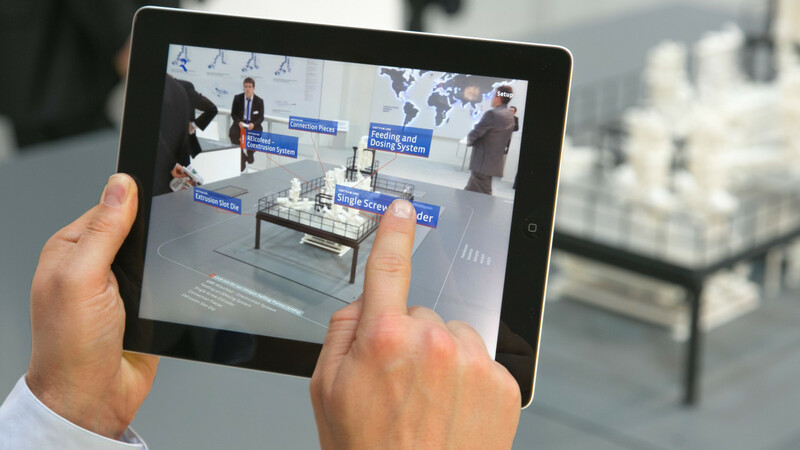 A touch of a finger would open further details on the component, featuring 3D rotating renderings, many images and textual information. 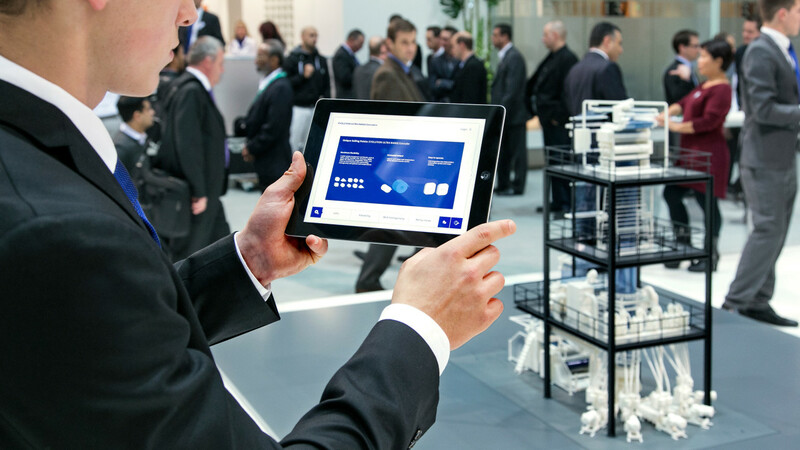 The open and inviting appeal of the Reifenhäuser stand and the fine combination of fascinating 3D printed models with the latest augmented reality technology let to a remarkable experience and communicates the Reifenhäuser Group as a leading manufacturer of innovative technology. 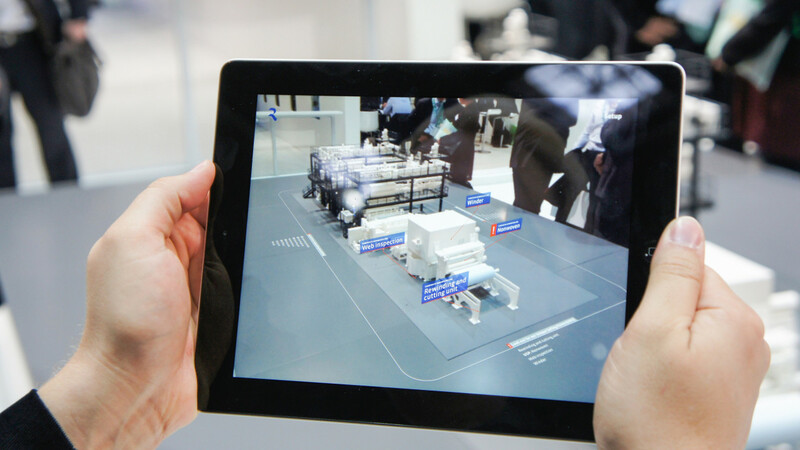 Also field employees are now equipped with iPads and an off-location app featuring the same contents as it’s augmented reality sibling. 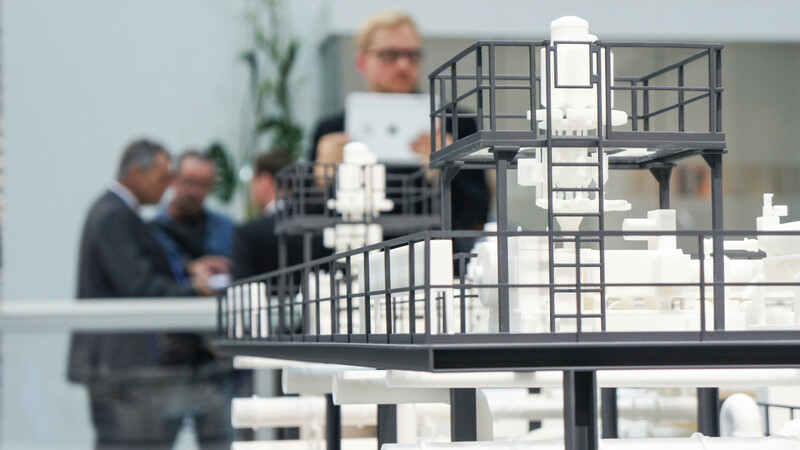 The apps were build by Michael Schmitz and Kersten Broich commissioned by and based on the concept of ART+COM AG for the Reifenhäuser Group. 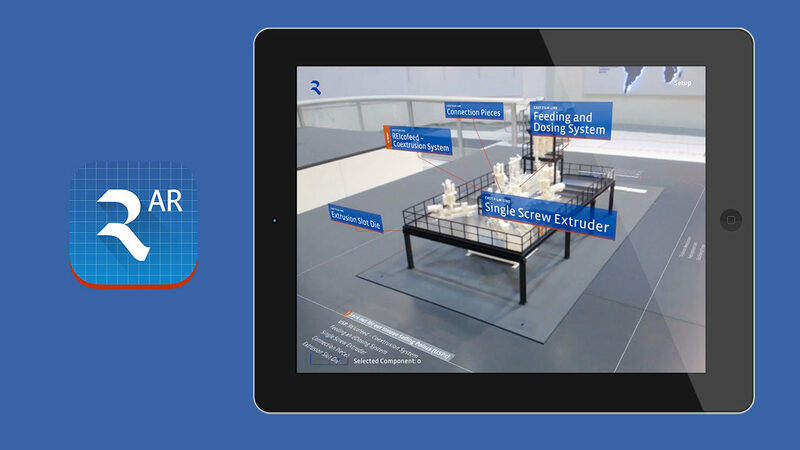 You can find more technical details here.